We are asked how someone can start a 100% legally licensed marijuana delivery service all the time. Starting a marijuana delivery service needs some requirements. 1) Depending on your state, you’ll probably have to become a medical marijuana patient. 2) You’ll want to install your business structure by incorporating and setting up your business within the legal confines of your state’s and cities laws. 3) You’ll need to get your business licensed on the state, city and possibly county levels for that location. Some states, cities and counties may not require this, but it’s up to you to determine if it’s required or not. If it is, you MUST acquire those licenses. 4) Now that you’re fully licensed, you’re all setup to start delivering marijuana legally. All you’ve got to do now is run your business to the exact letter of the law, making sure your business is operating in total compliance with the laws. You’ll need to keep thorough records and have complete control over the operations of your business and verify patients and a few other procedures. 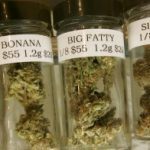 Starting a marijuana delivery service is not an easy process but reading this article will help you to understand what you really need. If it sounds simple, that’s because it is – with our Start a Delivery Service Do It Yourself All-In-One Package. 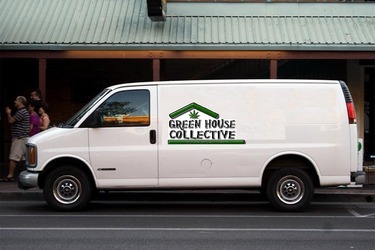 If you’re serious about starting a marijuana delivery service business 100% legal, you need this package. 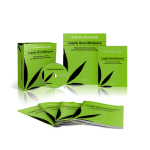 Cannabis University is drafted specifically for your state and includes detailed, step-by-step instructions for how to start a legal delivery service in our easy-to-read, simple-to-follow package. Our package was created by Marijuana Legal Professionals who have worked in all areas of the marijuana industry and helped thousands of people setup their legal marijuana delivery service businesses. Business Incorporation – How to incorporate your company in your state, how to choose the best business name for your company (it matters, a lot) and how to acquire your Employer ID Number (EIN). State and City Laws – We’ve translated the confusing jargon for your State laws into plain and simple English, making it easy to understand exactly what you need to know and do to be in legal compliance with all the laws regarding your marijuana business. Licensing & Permitting – In order to legally run your business, you’ll need to be licensed on the state, county and city levels. You’ll be shown what’s required and given all the required applications and documents, including exact line-by-line details of how to fill out the applications and documents for your state license(s). They will also show you how to find your City and County regulations to ensure whether you need to be licensed at those levels or not. If your state requires you to become a registered Patient and/or Caregiver, those detailed instructions will be included as well. Business Documents – When applying for licenses & permits as well as bank, credit and all other types of business accounts, a Business Plan, Corporate Bylaws (with language absolving you of any liability should legal action be taken against you), Banking Resolutions, and other business documents may be required. We’ve created easy and simple plug-and-play Microsoft Word documents and tell you exactly how to fill them out. Often, it’s as simple as filling in your name and contact information. Operations Forms & Procedures – After getting licensed, you’ll need to run the operations of your business to the exact letter of the law. We’ve drafted custom forms and procedures for running your business to the letter of the law for your state. They will cover areas like: how to acquire your product, possession and sales limits, managing inventory and everything else you’ll need to know and do to be legally complaint. Customer Forms & Procedures – You will be shown how to deal with customers from start to finish. They’ll cover how to control possession limits as dictated by state laws as well as provide our awesome plug-and-play Microsoft Word documents that may be required, including: Collective Agreements, Customer forms and any other legally-required documents to deal with your customers and make sure you’re in total compliance. Employee Forms & Procedures – We’ve drafted fully-customized documents and procedures that show you how to hire employees and volunteers, how to background check potential employees and volunteers, how to deal with payroll, employee non-disclosure agreements as well as all documents required by your state, like employee and volunteer applications. Keep in mind that one bad employee can get your business shut down. Don’t take this lightly. Record Keeping Procedures – To run a legally complaint business, you’re going to have to keep good records for every aspect of your business. This includes everything from tracking customers, employees and inventory. We will show you how to keep the best, most detailed records in case you’re ever audited. Frequently Asked Questions – This package will include the most common asked questions when running your business to the exact letter of the law, written in plain, simple English. Examples: Can I be a delivery service for dispensaries? Can I make a profit as a non-profit? Can I grow my own product without being licensed? 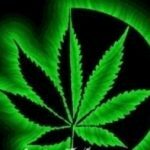 If you’re serious about start a legal marijuana delivery service, you absolutely must get this package. Don’t want to do it yourself? Let the professionals at GreenZipp.com draft and get approval on all your legally required documents for you, like they have for thousands of others. Your package will be delivered via fast and secure digital download within seconds of purchasing. All documents and procedures are included in either PDF or Microsoft Word format. Want to grow your own product and deliver it directly to customers as well? 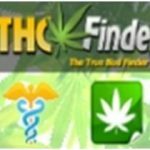 Check out these marijuana jobs in Florida as well. 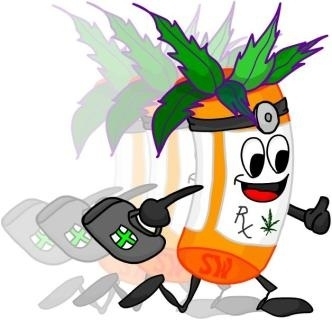 How to get a Medical Marijuana Dispensary License?